Take a moment and imagine watching your favorite movie with the absence of all music. Now think about what famous movies such as Star Wars, Superman, or Indiana Jones would be like without each of their well-known theme songs! Without the classic and recognizable scores written by John Williams in his career spanning five decades movie goers would have had a completely different experience and films themselves could have had different success rates. Williams has transformed the film industry with his scores and is the only composer to have received the 44th Life Achievement Award from the American Film Institute. 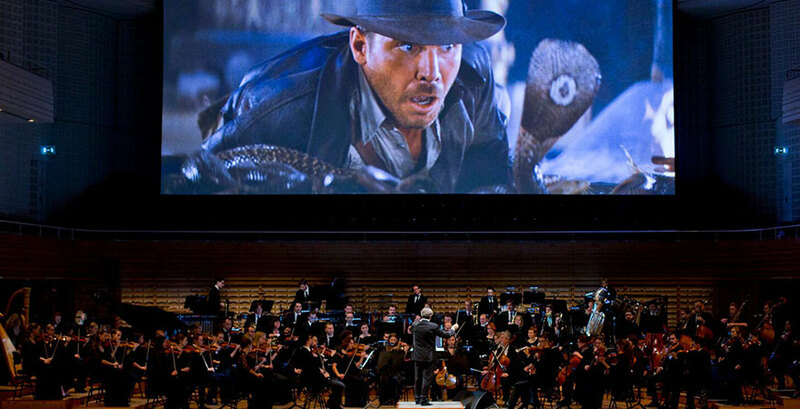 On Sunday, January 8 at State Theatre New Jersey, you will have the opportunity to hear the epic score written by John Williams as the New Jersey Symphony Orchestra performs live and enhances the on-screen action of Raiders of The Lost Ark. Williams is one of America’s most accomplished and successful composers for film and for the concert stage. He has composed the music for more than 100 films, including all seven Star Wars films, the first three Harry Potter films, Superman, Memoirs of a Geisha, Home Alone, and The Book Thief. Williams has also received five Academy Awards® and 50 nominations (making him the second-most nominated person in the history of the Academy Awards®), seven British Academy Awards, 22 Grammys®, four Golden Globes®, and five Emmys®. Head to the State Theatre New Jersey this January to see Indiana Jones with his whip, his hat, and a live orchestra! As Indy (Harrison Ford) goes on a quest to recover the legendary Ark of the Covenant and save the world in this timeless classic from Steven Spielberg with music from legendary composer, John Williams. Join us on Sunday, January 8 at 3pm for one performance of Raiders of The Lost Ark with the NJSO, you don’t want to miss this!